Last year, scientists found a 42,000-year-old Lena Horse foal — those are extinct, by the way — frozen in Siberian permafrost. 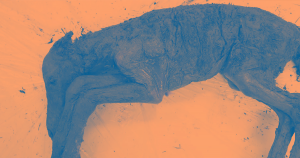 Now, they hope that they can clone the long-dead horse back into existence, according to Gizmodo, using liquid blood samples researchers extracted from the horse’s surprisingly well-preserved heart. In addition to liquid blood, scientists conducting the autopsy found intact organs and tissues. “We can now claim that this is the best-preserved Ice Age animal ever found in the world,” Semyon Grigoyev, head of the Mammoth Museum in Yakutsk, Russia, told Russian news agency TASS, as per The Siberian Times. The one to two-week-old foal likely drowned in mud that then froze, keeping the horse on ice for thousands of years. Collecting liquid blood doesn’t mean that scientists can definitely clone a Lena Horse back into the world — the researchers will still need to make sure that the blood contains viable cells that can then be grown in a lab. Gizmodo reports that the researchers behind the project, who are also working to resurrect woolly mammoths, have tried and failed to grow such cells 20 different times.